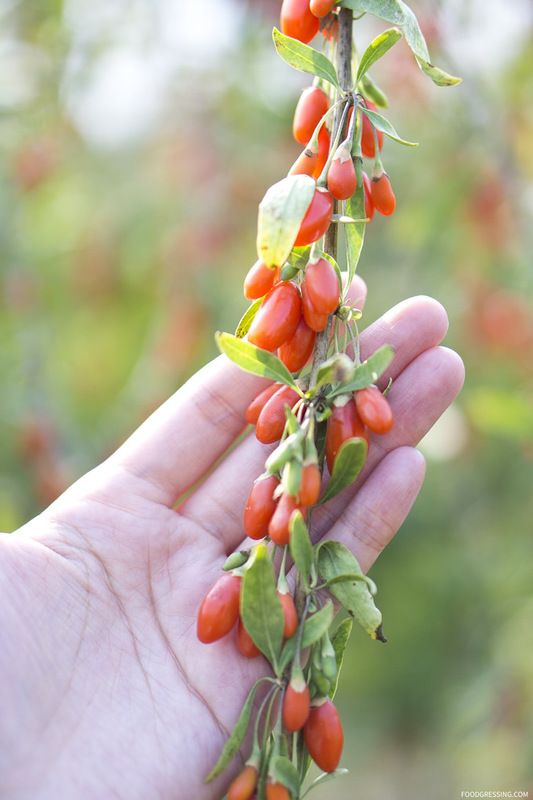 Did you know that there is a goji berry farm right here in the Lower Mainland? 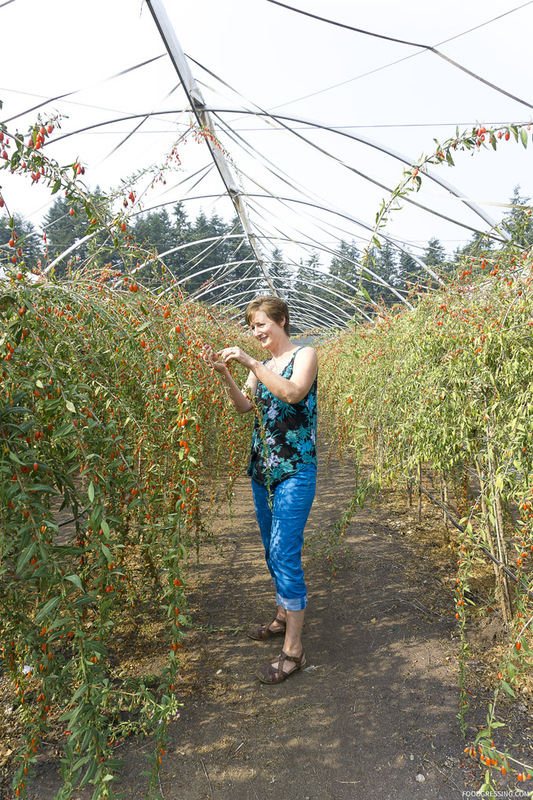 Gojoy is an 11-acre goji berry farm located at 1110-264 Street in Aldergrove, BC. 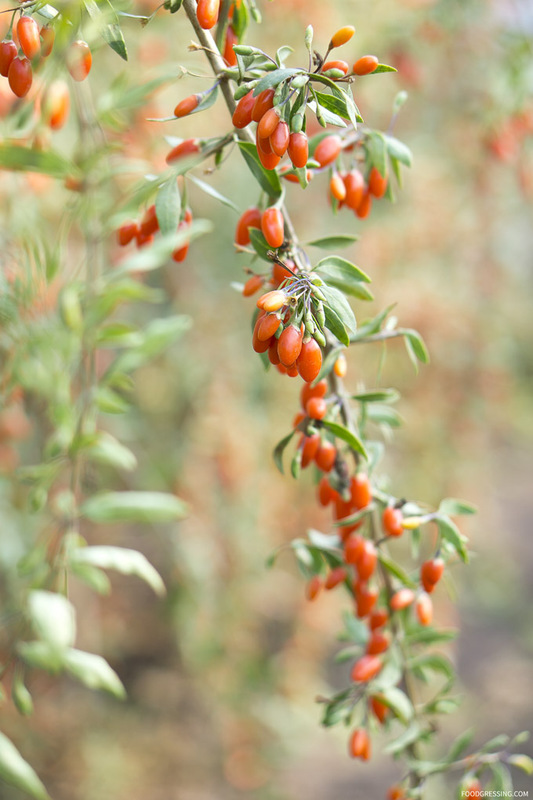 Now in its second season of U-Pick, the farm welcomes you to harvest fresh goji berries right off the vine. This past week, I visited Gojoy where owner Danise Breederland gave us a tour of the farm. 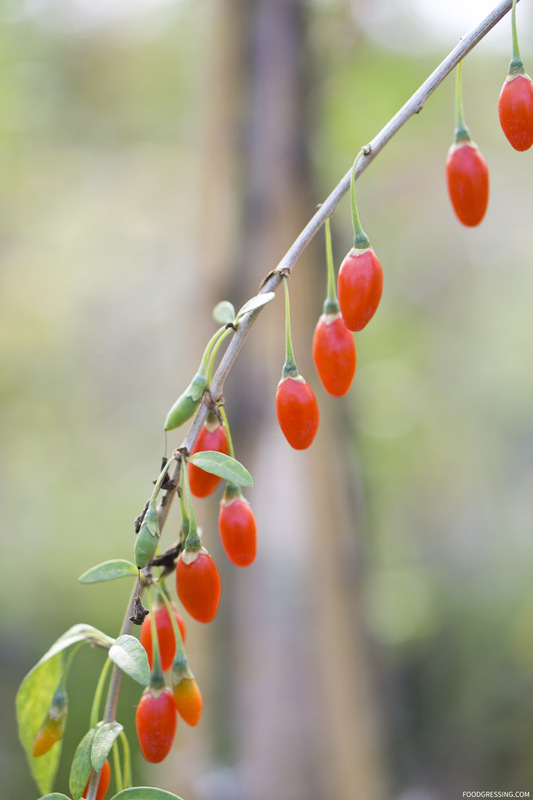 For centuries, the goji berry (gojis) has been part of a healthy diet for millions of people. More recently, gojis have been recognized as a bonafide superfood. 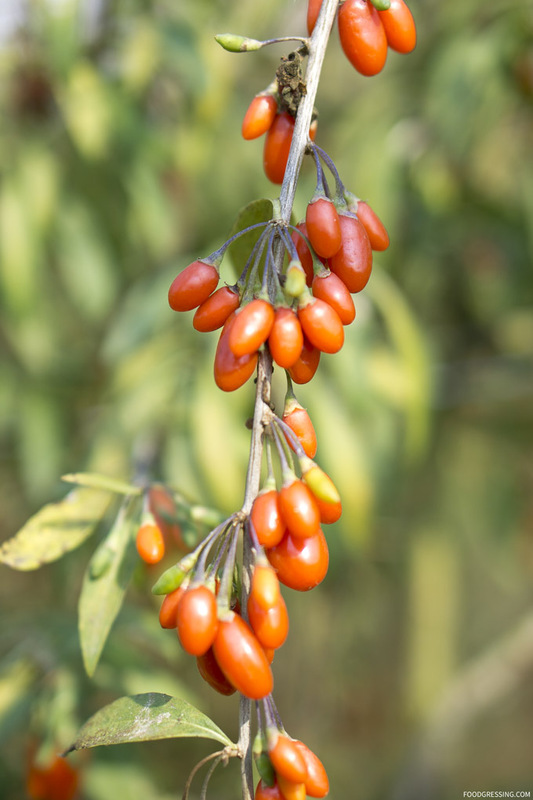 The goji berry, also known as the ‘happy berry’, is known to enhance overall happiness and joy. Gojis boast many health benefits since they are packed with antioxidants: vitamins, minerals, and phytochemicals that help to prevent damage to cells from unstable molecules, known as “free radicals” in our bodies. Other health benefits include improving cardiovascular health and cholesterol levels, overall health and well-being, and digestive functions. Read more on the nutritional benefits here. While gojis have been available in dehydrated form and imported from countries, fresh gojis are not easily found. Danise and her husband Peter recognized this opportunity a few years ago, and decided to grow this superfood in the fertile lands of the Lower Mainland. The family farm has an inspiring story of determination – countless farmers told Peter that the berries wouldn’t grow, but he still decided to grow this unique crop. His success in doing so, and innovation in growing these berries and creating value-added products, is noted and commended. 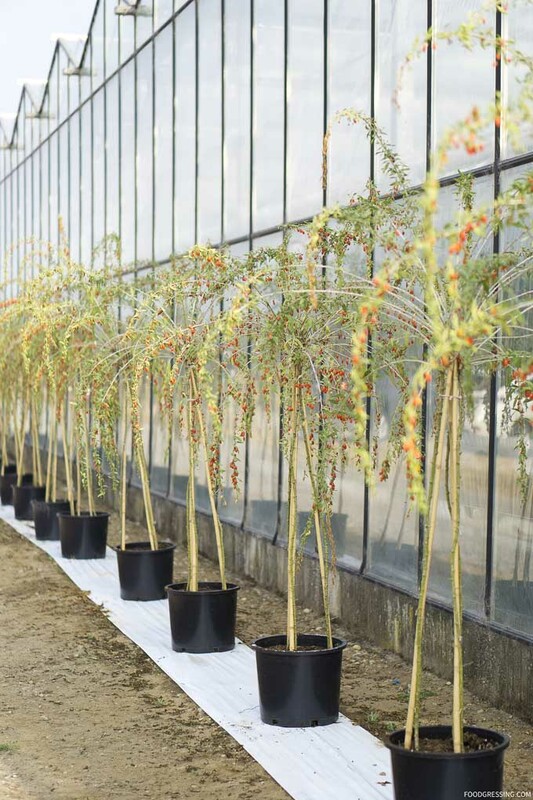 Gojoy is the only goji farm that has gone to market in Canada. Gojoy’s on-site farm carries pre-picked fresh berries, frozen berries, goji trees that can be planted in the ground or left in the container for urban patios, and a six-berry smoothie mix containing gojis and five other locally-sourced fruits. Fresh and frozen gojis can also be found in stores across the Lower Mainland. U-Pick is open Monday to Saturday from 10:00 am to 4:00 pm but you will need to hurry as the season is ending. For more information and U-Pick updates, please visit gojoy.ca or follow Gojoy at @gojoyberries on Facebook, Twitter, and Instagram.